"Have a spring fling with BLOCK Magazine! It's like frolicking in a quilted meadow filled with fanciful florals, bold colors, and pretty prints galore. 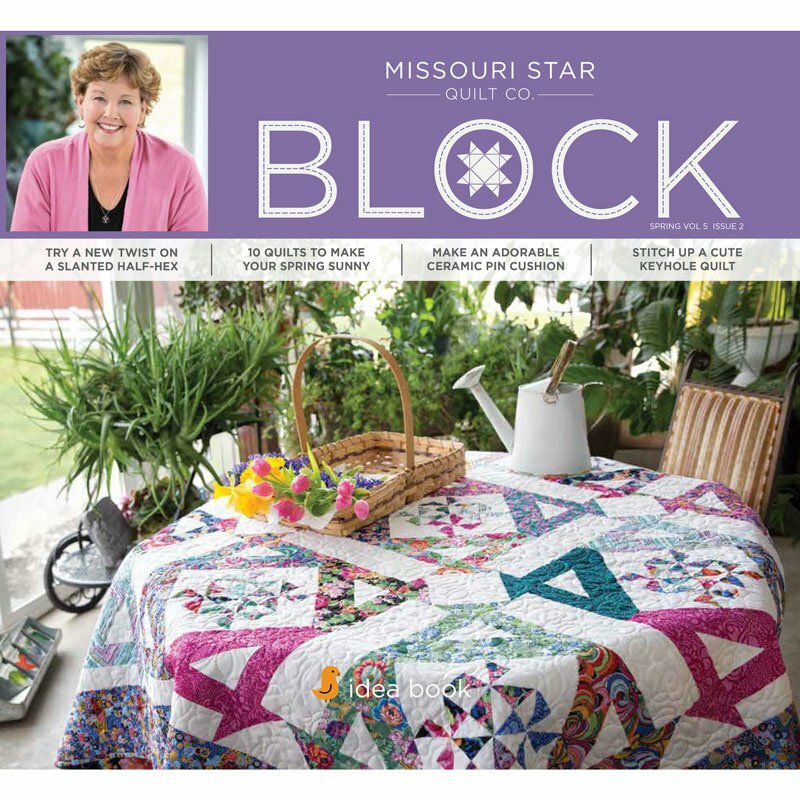 This issue is packed with fresh projects to kick off the new season including 10 new patterns, full-color photos, and not a single ad in sight to spoil the view. We hope you enjoy each project along with bursts of sunshine in between the rain. Every single project in this issue is accompanied by a personal story to brighten your day. Take spring cleaning by storm, or leave it for another day, with the darling 4x4 quilt in a bevy of bright colors. Then, take a moment to savor the first signs of life after a long winter and stitch up a Bordered Nine-Patch quilt that’s perfect for snuggling. The Crown quilt lives up to its name and when you’re all finished with this regal design, you’ll feel like royalty! Finally, pull a prank with a Keyhole quilt to bring out the kid in you. We hope you enjoy every little bit of this issue. After all, we made it just for you! Get into the swing of spring with BLOCK Magazine."